When nineteen-year old Jason mysteriously slips into a deep coma, family members and doctors are baffled. Seeking answers, the family contacts author and shamanic healer Wendy Halley. Using the ancient practice of Shamanic Trance, Wendy begins a nine-month odyssey into the 'dreamtime' world, where she and Jason will connect in a healing journey that transcends geography, distance, and the conscious world. 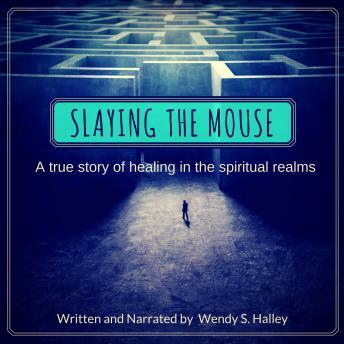 Slaying the Mouse: A True Story of Healing in the Spiritual Realms invites the reader into the intimate inner world of a young man struggling to understand his circumstances, and the otherworldly allies that join him in his fight.